After decades of enthusiastically advancing the argument, beverage scholars are firmly convinced that in heaven, there is no beer. So case closed on that. It’s interesting, however, that distilled beverages have never been included in that original thesis. Could it be that some of these distilled beverages are occasionally spirited away with some kind of higher purpose in mind? Spirited. Yes, there’s that aspect of it too. The fact that these beverages are referred to as spirits. 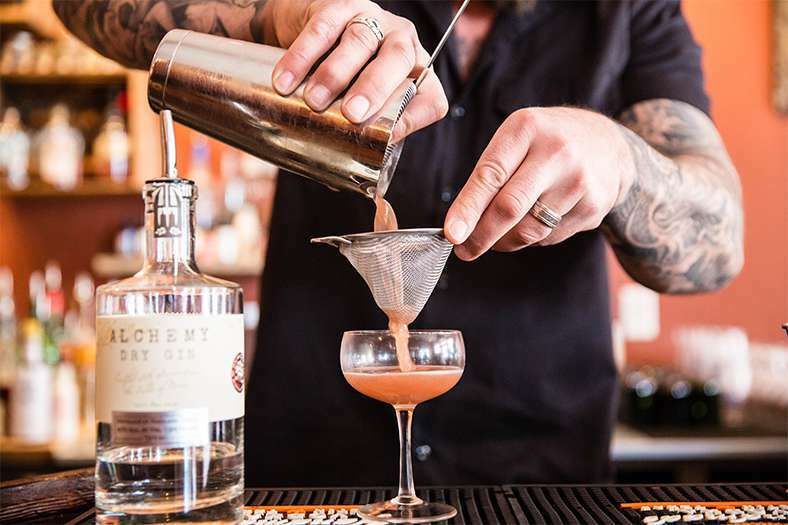 In Maine, we like to think that if any distilled spirits were going to be lifted to a higher realm, they would have to come with a little something special blended into the batch. 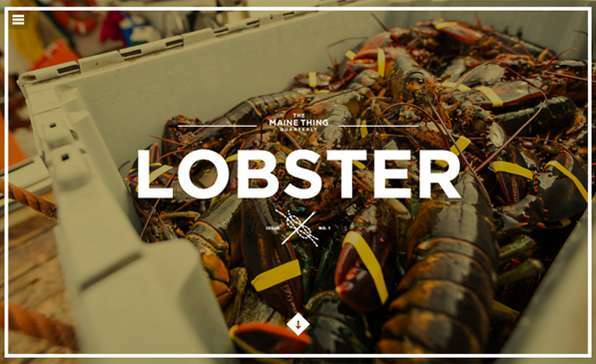 A little something special you can find only in the state of Maine. It wasn’t all fun and games. In 1851, Maine became the first state in the union to prohibit the sale of alcoholic beverages. The gentleman who led the prohibition effort was Portland mayor Neal Dow, known in his time as “The Napoleon of Temperance.” Despite the reference above, we have no evidence that anyone was actually ever put in a pillory for violating the prohibition law. We simply liked the wordplay. And the people of Maine simply liked their spirits. So much so that opposition to the law turned violent during an incident known as the “Maine Law Riot” in 1855. Within a year, the law had been repealed, Neal Dow had indeed met his Waterloo and there was dancing in the streets once again. But not before a celebratory taste or two of Maine’s finest. And for the record, despite rumors to the contrary, “The Napoleon of Temperance,” was never exiled to Vermont. In any event, distilling was once again allowed, harmony was restored, life in Maine returned to normal. And the rest is history. 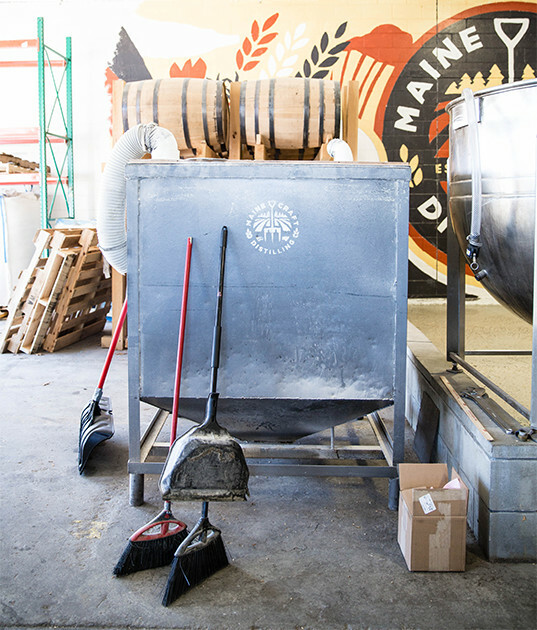 Today, Maine is home to a robust and highly respected distilling industry. Some call our style of distilling “land-to-bottle.” For others, it’s “farm-to-flask.” Either way, it’s our way of saying there’s something quintessentially Maine about these distilled spirits. And trust us, tasting is believing. Maine Craft Distilling is doing its part to raise the bar. And, like all of our state distilleries, doing so in a way that’s distinctly Maine. For Chief Distiller Luke Davidson, this approach to distilling is a natural. Luke was raised in a self-sufficient Maine farming community that had, as its economic foundation, a bartering system between neighboring farms. They say a rising tide floats all boats. So, apparently, does a rising field of grain. From his early life and ensuing life experience, Luke Davidson had the primary ingredients he needed — a strong sense of Maine’s community values, a love of all things agriculture and, this is key, a desire to make some mighty fine whiskey. The recipe for success at Maine Craft Distilling is simple.  They use the best agricultural products from Maine and combine them with traditional, time-honored distilling methods to create their unique brand of spirits. Perhaps the best way to convey this is to describe what goes into the making of one of their signature farm-to-flask offerings, a barley spirit named Black Cap which they describe as a 100% Maine product. Black Cap Barley Spirit is distilled from a malted Maine-grown barley and filtered through Maine maple charcoal. The result is a European-style barley spirit that is all Maine. And the Black Cap part? Named for Maine’s state bird, the Black-capped Chickadee. Feel free to share that in a tweet. Ned Wight is the proud owner of New England Distillery. He also takes great pride in his family’s history in the distilling business, a legacy that reaches all the way back to the 1850s. That’s when Ned’s great-great-great-grandfather, John Jacob Wight, took over a struggling distillery near Baltimore, Maryland. Producing a product called Sherwood Rye Whiskey, the distillery steadily grew. To make a long story short—something that rarely happens over a glass of Ned’s gin, rum or rye these days—the business went through a series of ownership changes until the last Wight family distillery closed in 1958. As it turns out, the Wight family was only getting started. Today the grainy, weathered photos of the Wight family legacy grace the walls of New England Distillery. 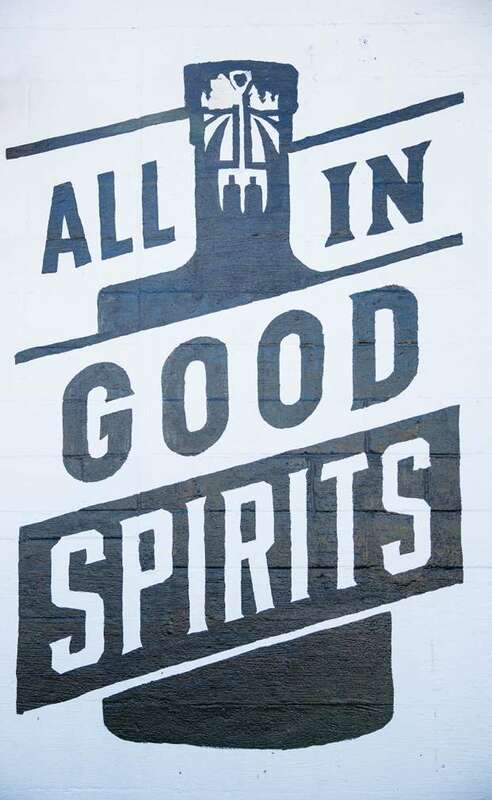 And a unique blend of art, science and, yes, history graces the insides of each bottle of the company’s spirits—Ingenium Gin, Eight Bells Rum and Gun Powder Rye Whiskey. Ned Wight knows his customers appreciate the nuances of his products, distinctions influenced by the uniqueness of Maine’s soil and weather. It is these subtle variations that create the character and perhaps the soul of New England Distillery’s offerings. Character and soul that are quintessentially Maine. There’s Land-to-Bottle, Farm-to-Flask and, with Cold River Vodka, a third variation. Ground-to-glass. This third version, however, contains a very clear distinction. Because ground-to-glass means the distiller controls every aspect of the distilling process. Every aspect. It’s a designation you don’t find just anywhere. In fact, there’s only one place you will. Maine Distilleries in Freeport, the only ground-to-glass distillers in the country, and purveyors of Cold River Vodka. So what could you possibly find in the ground that could be turned into world-class vodka? One word: spuds. As in Maine potatoes. Of course, you don’t just find them. You plant, nurture and harvest. Heck, you might even get down on the ground and talk to them. Potato farmers in Aroostook County have been saying all the right things to their spuds for years. 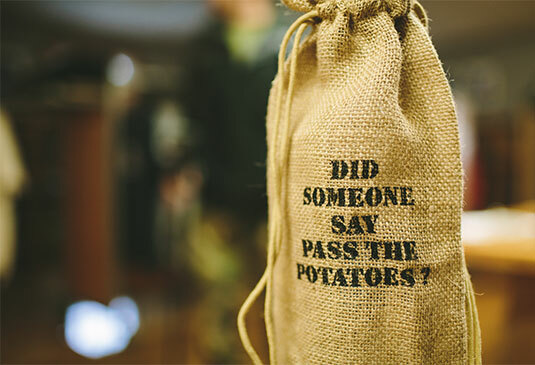 That may be one of the reasons Aroostook County is a major potato producer and a go-to source for potato vodka distillers. That and the superb soil and excellent growing conditions. Bottom line is you can’t make award-winning, potato-based vodka without some pretty amazing spuds. And that’s exactly where the process begins, in the rich soil of nearby Green Thumb Farms, which happens to be owned by Donnie Thibodeau, a founder/partner of Maine Distilleries. The super spuds and pristine water from Maine’s Cold River are triple-distilled in a copper pot under the watchful eye of head distiller and managing partner, Chris Dowe. As Chris believes, the ground-to-glass process is essential not only to the taste of their Classic Vodka, Blueberry Flavored Vodka and Classic Gin, it’s a way of putting their signature on a product and really having it mean something. Blueberry-flavored vodka? In Maine, it’s a natural. That’s because Maine is home to a native plant called Vaccinium angustifolium. 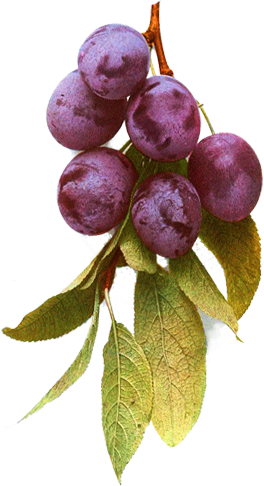 It’s also known as the lowbush blueberry, but best known as the wild blueberry. Whatever term you choose, you’ll definitely call them delicious. In Maine’s unique growing conditions, the lowbush plants produce small but incredibly sweet blueberries. We’re at the head of the class in the nation in producing these little gems. And Maine Distilleries is ahead of the curve in infusing their distinctive taste into a one-of-a-kind vodka you can find only in Maine. 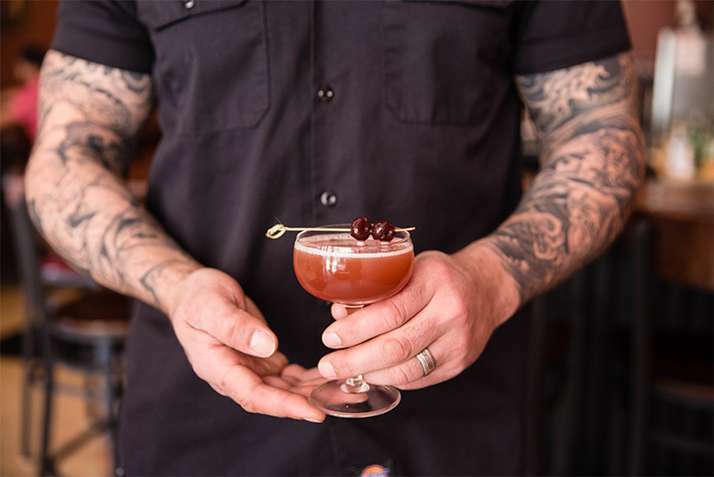 The spirits of Maine are waiting to make your acquaintance at clubs, restaurants and nightspots that celebrate the land-to-bottle movement across our state. Here are just a few that may whet your appetite. 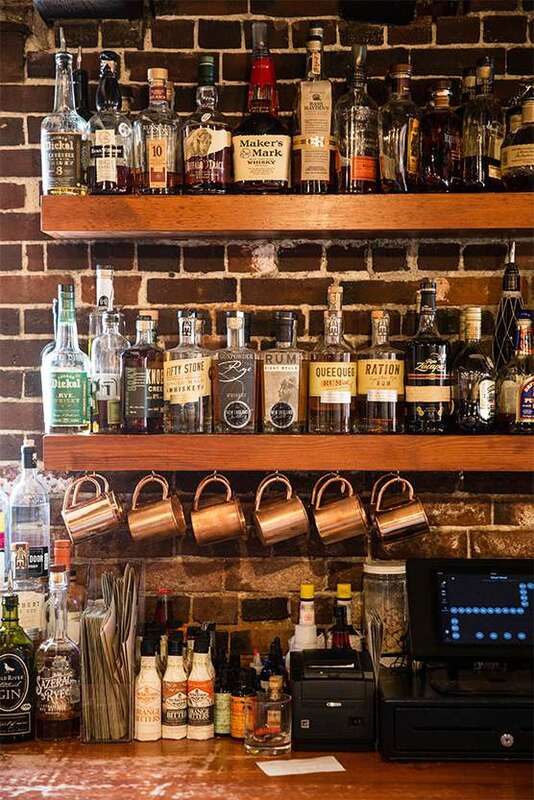 Portland Hunt & Alpine Club features craft spirits from Maine and around the world. 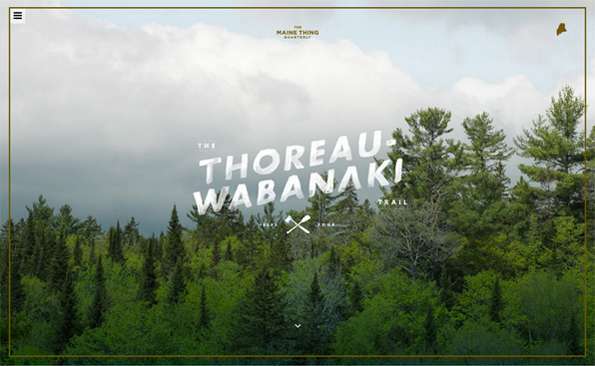 Inside, customers enjoy a relaxed atmosphere, excellent cuisine and an environment that pays homage to Maine’s outdoor spirit. Owner Andrew Volk is always available to answer questions about Maine spirits, explain the thought behind and ingredients inside his unique cocktails, and share a story or two. Vinland is not just the only restaurant in Portland featuring 100% local, organic, gluten-free food; it is, according to owner David Levy, the only one in the world. Of course, the locally distilled spirits on his menu are only more than happy to complement this unique cuisine with a uniqueness all their own. After all, folks, this is Maine we’re talking about. And one of the reasons people around the country are talking about us. Maine House, located in Hallowell and owned by mother-daughter team Coby and Deanna Thibeau, is a craft beer and cocktail lounge that opened in July of 2014. Maine House cocktails are infused with Maine spirits, and Coby and Deanna are clearly infused with the spirit of Maine. 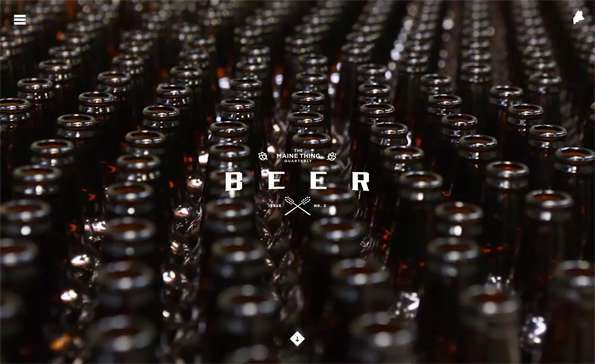 As one of their Facebook posts proclaims: “The weekend is like an empty glass. Fill it with your favorite things.” Let the filling begin. The plates are shining. The napkins meticulously folded. The silverware is properly set. The glasses, in their various shapes and sizes, are shimmering. In other words, the table is set. In the kitchen, the culinary arts are being performed in ways so breathtaking, the Cirque du Soleil acrobats would abandon their ropes and come on down for a taste. 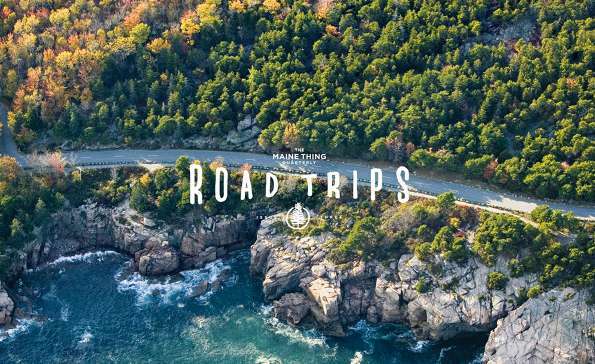 Whether it’s for the best of the farm-to-table, sea-to-table or land-to-bottle experience—or all three combined in one glorious sitting—Maine is definitely a destination of choice for foodies, families and friends. Oh, and one more thing. Your table is ready.